It appears that the climate change establishment is urgently trying to whitewash the Climategate scandal just in time for the the Copenhagen Climate Conference, which is to be held December 6-18. 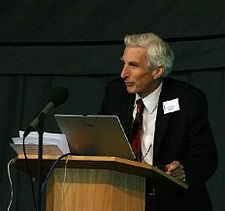 Lord Rees from the Royal Society is to be asked by University of East Anglia (UEA) to investigate the Climate Research Unit (CRU) leak. The Foreign Office and government are leaning heavily on UEA to keep a lid on everything lest it destabilizes the Copenhagen Climate Conference. CRU is asked to prepare data for a pre-emptive release in past couple of days, but trouble with reconciling issues between data bases has stopped this. The appointment of Lord Rees, if confirmed, is especially worrying. It’s the rough equivalent of appointing King Herod’s grand vizier to investigate a mysterious outbreak of mass baby killing in Judaea. I think the odds are no better than 50/50 that our present civilisation will survive to the end of the present century. How is this going to be an unbiased investigation when Lord Rees has such a biased history?